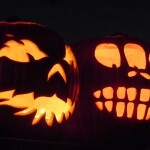 Celebrating the most ghoulish night of the year Beaufort House Chelsea will be getting into the scary swing of things on Friday 31st October 2014. Our ground floor creepy cocktail bar will be prepared with perilous pumpkins and deadly decorations, and we welcome people all dressed up, with somewhere, or even nowhere to go on the weirdest weekend of the year! 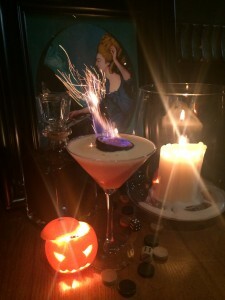 Enjoy our cocktail of the night – The Deathly Daiquiri – monstrous mount gay rum, sinister cinnamon, petrifying passionfruit, & loathsome lime juice! Daringly delicious! With some serious music later in the evening, powering all impish spirits long into the night, Beaufort House Chelsea is the place to be seen this haunted Halloween. And why not pop into our phantasmal local business partner Duck & Dry across the road to prepare for all the eerie events you may be attending. They are hosting a Halloween special weekend on Friday 31st October and Saturday 1st November 2014. As well as their fabulous blow dries and updos they are also offering make up for that weekend only! Halloween hair and Halloween make-up are both £35 each. They are booking out quickly so call 020 3489 9370 or click HERE to book online. 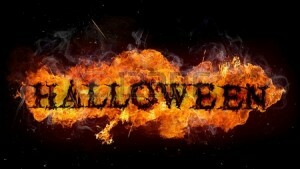 We look forward to seeing all you ghastly gals and ghoulish guys at the Haunted House!